Ignored, underestimated and under-diagnosed, post-traumatic stress disorder (PTSD) affects not only soldiers and war victims, but also many people directly or indirectly exposed to trauma, of whatever kind. The materialist dogma current treatments are based on starts from the principle that the brain is responsible for the serious disorder the individual is suffering from. Actually, this is not at all the case: during a traumatic event, automatic survival reactions do not pass through the brain. The result is that the emotions experienced during the event remain blocked in the individual, hindering energy circulation. Current approaches thus fail to cure the illness and at best enable the victim to function with PTSD, often with drugs and significant limitations. Since the primary cause of the illness is not being appropriately treated, the person often experiences serious illnesses that are attributed to other causes. By means of the OGE or "reverse of ego" approach developed by Dr. Daniel Dufour, the energy and feeling blocked in these victims can be released, thus preventing the development of secondary disorders. If it is applied as soon as possible after the trauma, this method can also prove very useful in preventing the occurrence of PTSD. Regaining self-sufficiency without drugs and living a full life after PTSD is now possible! -Having long suffered with PTSD following his years at the front as a military doctor, the author knows his subject intimately. -The book clearly identifies people at risk, more numerous than we might think. 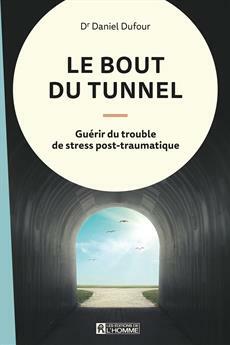 -The author explains in simple terms the reasons why current PTSD treatments fail. -The author suggests an integrative approach, facilitating the release of the emotions blocked during the traumatic experience and guiding the victim toward a cure.